Every advancement in medical research brings a greater number of informed decisions that healthcare professionals (HCPs) must be equipped to make. It’s a real challenge. And one where Aptus Health can make a real difference. A recent segment featured on our digital HCP communities illustrates the power of our crafted Test & Teach™ interactive, expert-led approach to helping clinicians sharpen their expertise when it comes to making decisions that impact patient care. Over the past five years, a variety of new agents have emerged for acute pulmonary embolism (PE). It’s important for emergency department staff, critical care specialists, pulmonologists, and hospitalists to know which drugs to administer when acute PE is confirmed. We recently featured an interactive presentation on the topic, presented by Margaret M. Johnson, MD, Associate Professor of Medicine, Chair, Division of Pulmonary Medicine at Mayo Clinic. The segment focused on understanding the indications for thrombolytic therapy, identifying appropriate therapy options (NOACs) if thrombolytics are not being used, understanding the appropriate administration of novel oral anticoagulants; and more. 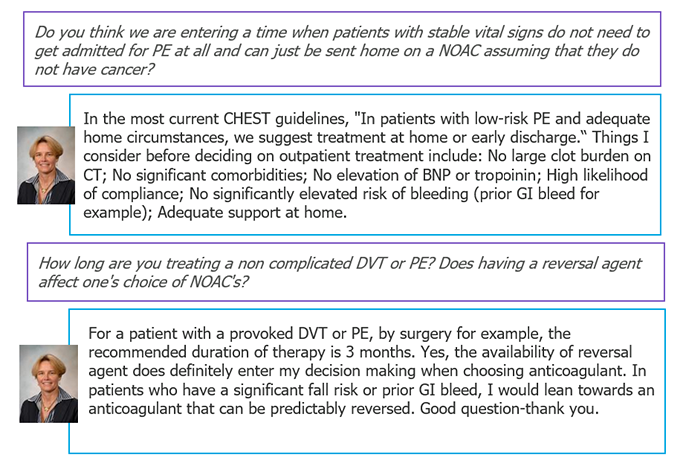 Over the course of just a few minutes, our Test & Teach approach drove a 27% improvement in participants’ ability to correctly identify the appropriate therapy option for acute PE. What’s the secret? It’s a combination of “keep it short,” “keep it focused,” and build it based on an engagement and learning methodology for doctors that we’ve been perfecting since 2005. For more examples of how our approach supports better decision making in key clinical topic areas—including chronic condition management – download our report.